Buy Online, Pay In Cash. Blackstone Payment Solutions, Inc. is pleased to introduce BPAYCASH at this year’s Money 20/20 USA Conference in Las Vegas, Nevada from October 22nd-24th, 2018. BPAYCASH is a new way to pay for online purchases. BPAYCASH allows the Unbanked and Underserved markets the opportunity to participate in online purchases when cash is the preferred method of payment. Many individuals hesitate to buy online with a credit card to avoid the potential of identity theft and fraud. BPAYCASH addresses this market as well as the underbanked and underserved individuals with little or no credit. Here is how it works. First, the consumer visits an online website via a computer, mobile device or in-store kiosk. Items desired are placed in the checkout area. The consumer selects BPAYCASH at time of checkout and an order receipt is generated and sent via email, text or printed at the store kiosk or home printer. The consumer then visits the BPAYCASH website to use the store locator to find the nearest location for the walk-in bill payment. Finally, the consumer visits the participating store, pays in cash and a confirmation is sent to the online store via the Blackstone network that the order is paid and can be shipped. This patent-pending solution is sure to provide cash-preferring customers a convenient solution for their online payment needs. A preset convenience fee replaces the cost of credit card fees for the merchant and the online store receives sales it would have otherwise missed. The consumer pays a nominal convenience fee for the service and the store revenue shares in the fee. Blackstone selected Elo as its touchscreen solution partner in this project to bring in-store orders to participating retail and grocery stores nationwide. With over tens of thousands of locations, the cash payment network will be ready to receive orders on day one. Blackstone’s unique software will be launching for the first time ever in the Elo’s Wallaby™ self-service stand, an out-of-the-box customer-facing solution that combines a 22-inch Android-powered Elo all-in-one (AiO) touchscreen computer with secure housing for a printer. With Elo’s Android-powered touchscreens and EloView, it’s simple to provision devices, refresh content, update software, apps or OS and manage devices remotely via a centralized web portal. Stop by the Blackstone booth (#978) at the 2018 Money 20/20 USA Conference, October 21-24 in Las Vegas, Nevada, to learn more about how our state-of-the-art payment technology and excellent customer service can help your business increase revenue, traffic and consumer automation. Established in 1995, Blackstone is a leading provider and distributor of innovative prepaid products and services, payment processing solutions and transactional technology to retailers, distribution partners and consumers throughout the United States and Puerto Rico. Blackstone successfully manages its extensive network of clients through in-house underwriting, customer and technical support, technology and software development, category management and sales & marketing to ensure the latest products and services are available to meet the ever-changing market’s demands. In the prepaid space, Blackstone is one of the nation’s oldest providers with extensive partner relations and quick-to-market approach. In the payment space, Blackstone has its own proprietary PCI Level 1 compliant payment gateway, a full in-house payment operations center, and custom innovative products to offer. 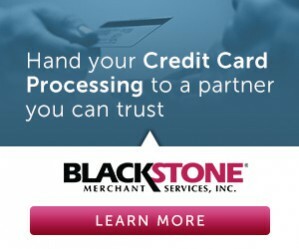 Blackstone is headquartered in Miami, FL and serves thousands of locations nationwide. 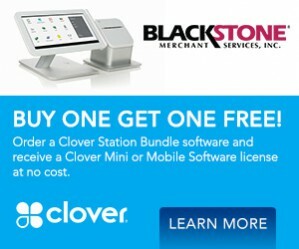 For more information, visit www.blackstoneonline.com or contact us at 305-639-9590.